I’ve been thinking a lot and writing a lot about the Leafs salary cap predicament. The reason being, while the team is not doing so well, the current salaries and contracts may be more indicative of long-term failure than even their current play demonstrates. I hate picking on any one person in particular, particularly because short-term outcomes (typically losses for the Maple Leafs) are often multi-factorial. That said, over a longer term, where there is an ability to change outcomes, I’m less inclined to be forgiving. Hence why I’ve been thinking so much about the salary cap, and also why I’ve condemned the action (actually, inaction) of Dave Nonis. Nonis definitely isn’t the active type, I don’t think anyone would argue that he’s got the prowess of, say, a Brian Burke, for making big deals. He seems to be happy to keep things within the organization, i.e. promoting Horachek, and signing people to long-term deals. With this in mind, I thought about looking at a few of the Leafs and what other teams pay similar players, or maybe thinking a little differently, what the Leafs might be able to have for the same amount of money. (With the proviso that I fully understand that there are no trade clauses and other factors that make trading players more difficult than simply swapping contracts). 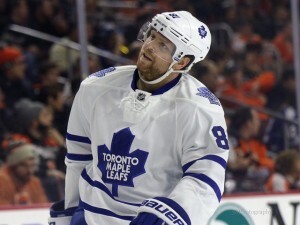 Let’s start at the top with Phil Kessel. His $8 million cap hit is the biggest on the Leafs. He often gets picked on and many put him at the top of their trade list, like Nick Kypreos. I would argue, however, that Kypreos, and others, are wrong. My argument rests on the simple principle that barring getting a Crosby, a (healthy) Datsyuk, or Ovechkin, you might not get anything more than what you have. Kessel is pretty one-dimensional and he’s streaky, but his numbers over the course of the season make him well-worth his $8 M price tag when you consider the alternatives. David Clarkson is not a bad player. He is. 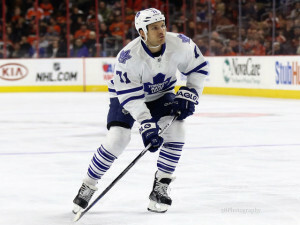 however, a player on a bad contract, but not for David Clarkson, just for the Maple Leafs. At 5.25 he eats up 7% of the Leafs salary cap, and he’s certainly not worth it. Thinking relatively, would anyone prefer to keep Clarkson over van Riemsdyk, Bozak, or Lupul? Exactly. And now, this. Next up, Phaneuf. In my opinion, his $7 M cap hit is absurd. That’s not to say he’s a bad player. He’s just not worth what the Leafs are paying for him. As I’ve written previously (link), the salary cap is about relative value, and Phaneuf isn’t worth the 10% of the cap he eats up. Making matters worse, what does that say to some like Cody Franson when Phaneuf makes double what he does? And because the salary cap is finite, it means not only is the Phaneuf cap hit ill-informed, it’s also prohibitive for the Maple Leafs future. 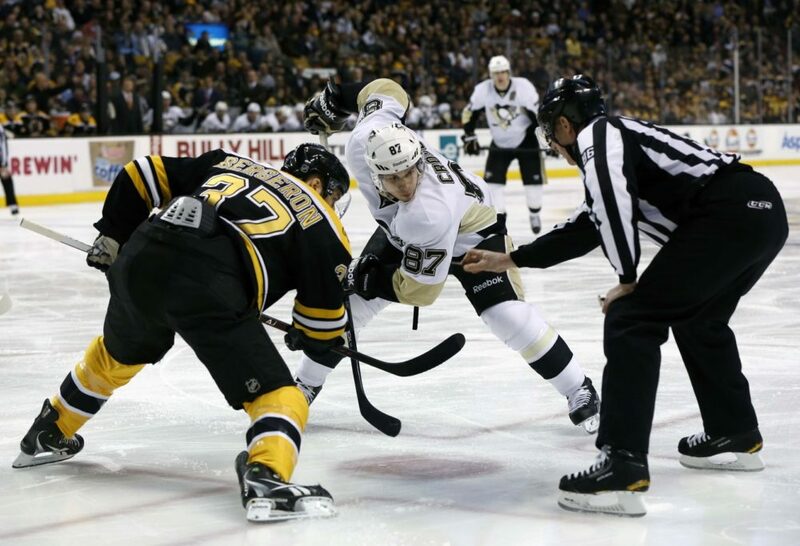 What makes me cringe is when I think about what other defencemen are paid. Of course, there’s PK on a tidy sum, but even Eric Karlsson is only on $6.5 M, Drew Doughty is on $7 M and Ryan Suter is at $7.5 M… any of which I would take over Dion any day of the week. Let’s think about this a bit differently, one of the Leafs biggest problems is their lack of a true first line center.What if Dion got what he’s really worth in the current NHL, which I would argue is about $5 M. That would free up $2 M in cap space. That $2 M might be enough to keep Franson around, or it might be that extra push to sign some of the Leafs’ UFAs this summer. As a thought experiment, consider the following two scenarios. First, what if Clarkson and Phaneuf were both on their ‘true’ wage (roughly Clarkson at $4 M and Phaneuf at $5 M, in my opinion). That would free up $3.25 M which could again be useful to shore up some contracts that will need some focus in the off-season, or bring in a pretty decent player (maybe a 2nd/3rd line forward). Second, what if these contracts didn’t exist. 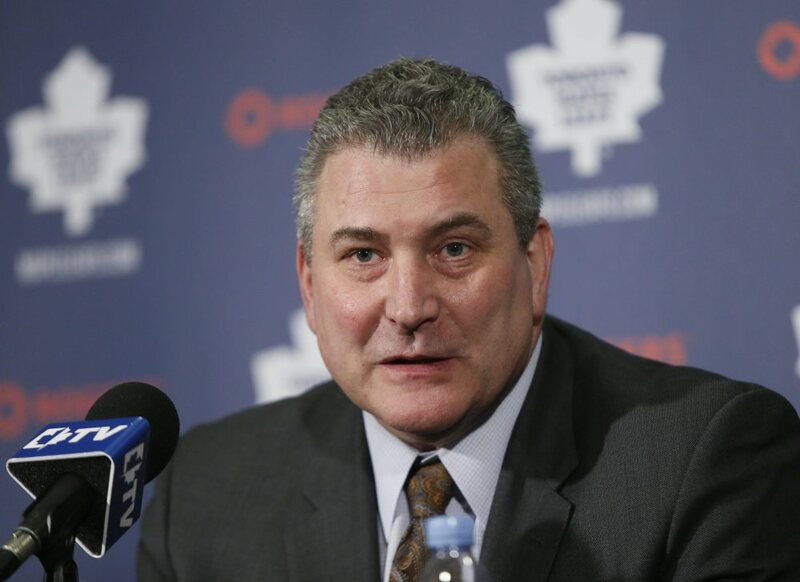 What could the Leafs do with $12.25 M. Obviously, they’d need to sign a forward and a defenceman. Kronwall, McDonagh, Jack Johnson, Goligoski are all good defencemen that are about $4.5 M. That leaves a whopping $7 M to play with. Think about THAT. Bergeron, Datsyuk, Stamkos, Backstrom, and Kopitar all become feasible. The reason that I mention this, isn’t so much to say that these are possible trades or signings for Nonis. Rather, this shows how he has failed as a GM, and how the Leafs long-term success will be hampered due to what he’s already done. This is coupled with the fact that every other GM knows what a terrible position the Leafs are in so it’s likely impossible for Nonis to make any good deal. But, while I feel sorry for his predicament (even though he created it himself), he still needs to try to do something, anything, to shake things up. Unfortunately, I don’t see it happening any time soon.